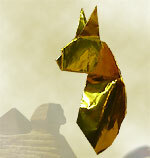 A sitting cat looking up to you, as if waiting for a meal. 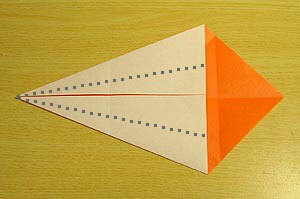 In this "Sitting Cat", you first fold and unfold many times just to make various creases on paper. 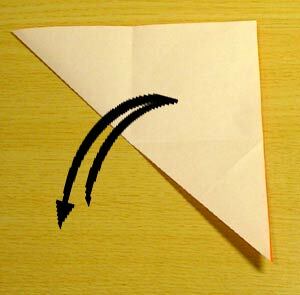 By making these creases, the latter steps become extremely easy to fold. 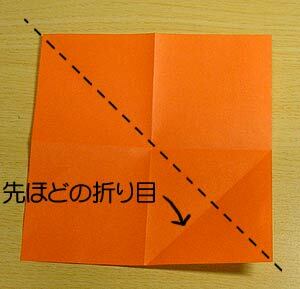 If you are an Origami Expert, you may start from "Step 13". 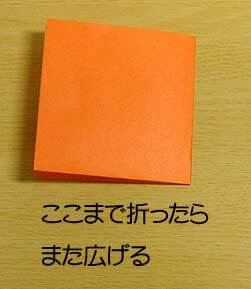 So, let's begin. 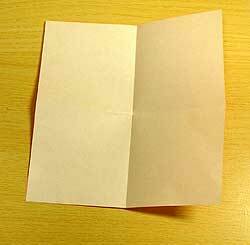 If you have a paper with a color only on one side (white on backside) , sides also matters. 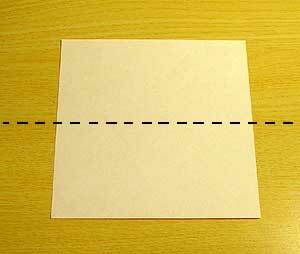 Start with the white side as in the picture. Valley fold twice and unfold. 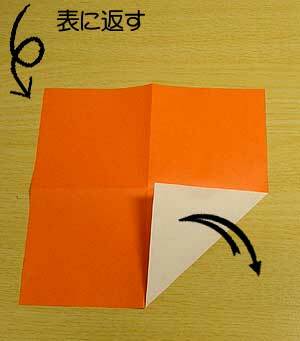 Turn over, fold one corner, unfold. Fold a big triangle and unfold. 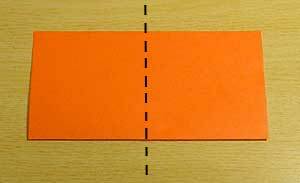 Your creases should be looking like this. 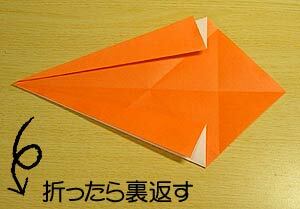 Fold both sides like a kite. 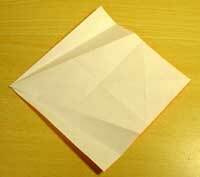 Fold both sides outwards, then turn over. 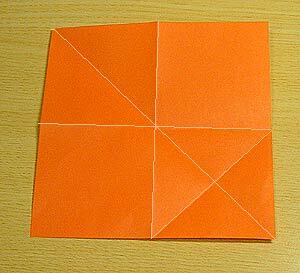 Fold to the middle, then unfold all over.